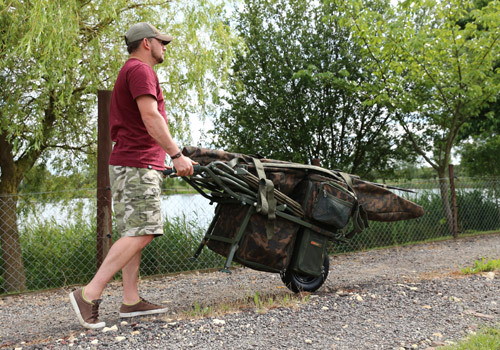 The unique Explorer Barrow has been designed to be one of the most versatile carp barrows ever released onto the market. Designed with the day session angler in mind the very compact Explorer can also be adjusted for use on longer sessions where bedchairs and extra tackle is needed. The whole concept behind the Explorer is that when fishing short, day sessions the angler can leave the majority of their tackle on a barrow and fish ‘off of the barrow’ so that packing up and moving swims can be done quickly and with little hassle. 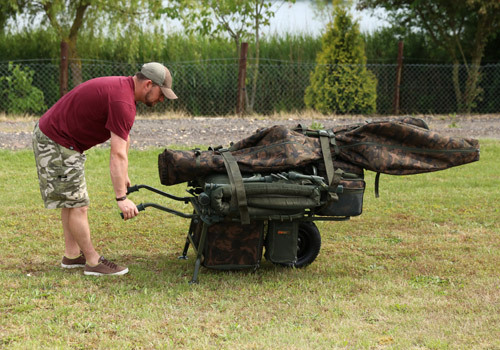 However, thanks to its clever design with the extendable front barrow bag rack the barrow can quickly be converted to create more space for carrying extra tackle such as a bedchair. This conversion also redistributes the weight when extra items are added to ensure the barrow remains balanced. 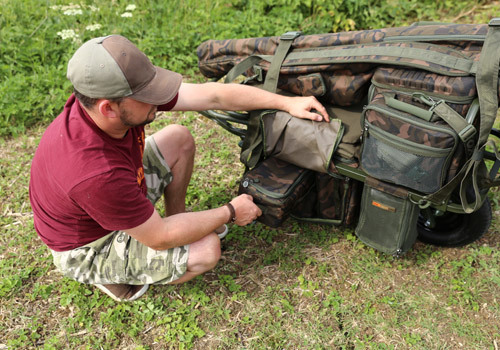 The Explorer is packed with features and comes supplied with a drop-in, central Under Barrow Bag that is styled in the Fox Camo pattern along with two mesh storage pockets that sit either side of the wheel, that are perfect for storing items such as a 5ltr water bottle and/or bait. The Explorer has been designed to be the perfect barrow for short, day sessions. 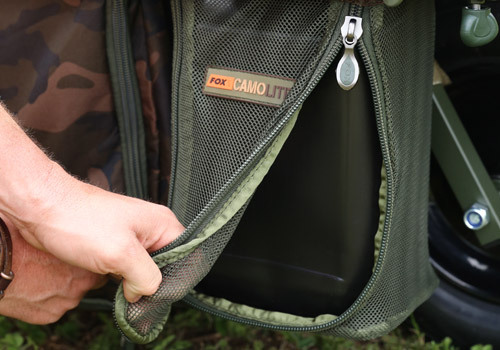 Both the central bag and two storage pockets feature zips on their sides allowing for quick and easy access to them without having to take any items off of the barrow.